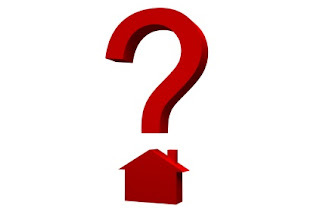 You are here: Home / Buying a Home / Thinking about buying this year? You’re sick of paying rent, have steady income and are ready for a long-term financial commitment and you want to lock in your mortgage rate before the new rules come into effect! How much have your saved for a down payment? Yes you can put down less than 20% for a down payment and even withdraw from your RRSP or be able to apply for the First-Time Home Buyer tax credit. But are you using all of your savings to do so and will this make you “house poor”? Consider the advantages of putting down 20% versus 5% (the current minimum amount). What’s your credit rating like? You should definitely get a copy of your credit score to see what type of rating you have as it will affect the type of mortgage financing you can expect and depending on your history, you may even be denied a loan! Are you prepared for extra costs? Often times when most of us think of buying a home only down payment and mortgage springs to mind. Well how about legal fees, land transfer tax or even moving expenses and hiring a home inspector? It’s a good idea to research all potential costs and factor that into your calculations. Despite looming interest rate increases, inflation and the teeter-tottering of the housing market, if you still believe that real estate is a sound investment and at the top of your bucket list, then perhaps 2011 remains a good year for you to buy. Nothing in life is certain anyhow. We all still have to keep moving forward so if you do the research and prepare yourself as best you can, then all there’s left to do is go ahead and make those life altering decisions!